Whoop! Three cheers for SPIDERDAY (or would it be more apt to say “eight cheers”?. All the arachnid links from the past week, in one place. 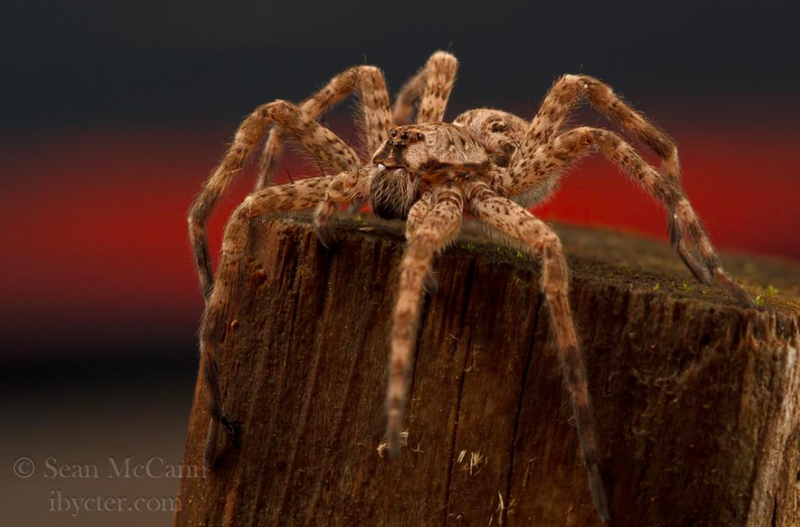 Meet your dock spiders. Photo by Sean McCann. My Read Of The Week was an easy one – this post on Spider Assassins (Family Archaeidae) contains incredible photos and natural history. Good news: the hobo spider is no longer on the ‘venomous animals’ list from the CDC. It’s about time! Spiders – a guide for first year students. Say calm, folks, stay calm. Here is a well-done illustrated guide to nine common spider species (and webs) occuring in households in the UK. Spiders on a plane! A roaming tarantula plays havoc with a Delta flight. Meet Singapore’s very own spider ambassador. On the more serious side, the Heartland virus (carried by ticks) may occur across the eastern USA. Have a tick and need to remove it? Here’s some info for you. Lyme disease update: Ticks carrying the lyme bacterium have been found in parks in south London (UK). Ticks get a bad name. On the lighter side of Ticks, there’s the comic-book series to consider…? An older finding on fossil Opiliones (Harvestmen) with a second set of eyes. Um, but it should be ‘Harvestperson’ not ‘Harvestmen’. Thanks for the links, Chris! And a great opening shot by Sean!